Most people are most familiar with MiniDV tapes, which are small-format 60 minute tapes that most consumer camcorders use. These cheap consumer-grade tapes cost a couple bucks each and tend to be relatively fragile so you won’t want to re-record over them more than once or play them too many times. These tapes are made by a variety of manufacturers, including Sony among others. Unlike the following two tapes which come in over-sized blue hard cases, MiniDV tapes are typically sold in small, thin, clear plastic cases. Although these Sony tapes are more expensive, they’re also more durable and can typically be re-recorded over several times if needed. 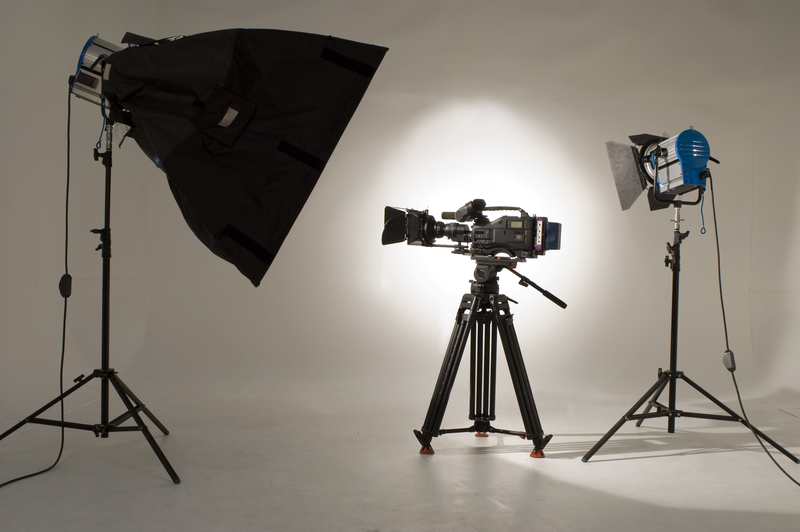 They can also be played back and forth many times before the tape is worn out, and for this reason they’re considered more reliable for use as masters in documentary film. These tapes can be used in consumer camcorders as well as pro-sumer cameras like the PD-150 or the shoulder-mount PD-250. 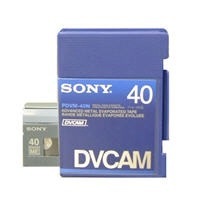 Although the length of DVCAM tapes marketed as 40 minutes are technically 60 minutes long when recording in MiniDV mode, when they’re recorded in a Sony camera set on DVCAM mode they’ll only record for 40 minutes since the tape runs at a faster speed although the image quality will remain the same. 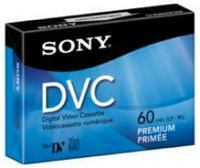 Sony also makes a cheaper tape that shoots for 32 minutes in DVCAM mode. 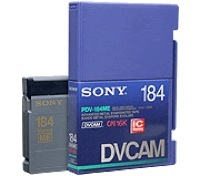 Sony also makes large format (“full size”) DVCAM tapes for use in large format shoulder-mount cameras. These tapes are somewhere in between MiniDV and VHS in size and are considerably more expensive but can record for up to 184 minutes, so they’re often used for event shooting where there has to be non-interruptable coverage.